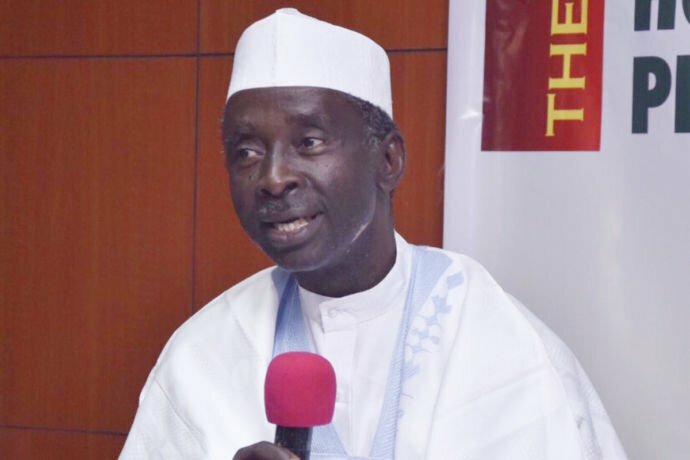 Deputy Governor of Kaduna State, Barnaba Bala Bantex, has said he was appalled by the role played by certain pastors in spreading hate, encouraging violence and undermining the security efforts in Kaduna State. Bantex stated this in a statement he signed and issued to journalists yesterday in Kaduna on behalf of senior officials of the state government who are Christians. According to him, it was unfortunate and improper to blame the actions of criminals on religion, or insinuate government involvement. He said the attempt to paint the Kaduna State Government and its leadership in religious garbs must stop. The statement reads: â€œWe are appalled by the role of certain pastors in spreading hate, encouraging violence and undermining the security efforts in Kaduna State. These apostles of hatred do not speak for us, and we condemn the attempt to reduce our religion into a vehicle or a convenient mask for the bloodthirsty to practice their trade of division, violence and destruction. â€œWe cannot condone illegal conduct even if it is perpetrated by people with whom we share the same faith. â€œWe are shocked that pastors have desecrated the altar of faith to spew lies about the situation in Kaduna State. It has saddened and shocked us to watch videos of pastors preaching fiction and needlessly inciting people. â€œApart from creating the impression that the curfew affected only Christian residents of Kaduna, these pastors irresponsibly lied about the circumstances that led to the abduction and murder of HRH Agom Adara, Dr. Maiwada Galadima. Their professed knowledge of the motivations that led to the unfortunate situation around the late monarch should be of interest to the security agencies. â€œBut as senior leaders of the Kaduna State Government, we wish to debunk their tissue of lies. â€œAt least one of the videos to which we refer features the pastor hinting at ties to a party to some of the criminal activity that happened during the Kaduna unrest. It is within the province of the security agencies to interrogate this. â€œAs political office holders who are also Christians, we welcome the intervention of Christian leaders like the Catholic Archbishop of Kaduna and the Chairman of the Christian Association of Nigeria in Kaduna State in advancing peace. Security issues should not be invested with unnecessary religious coloration. Crime and its consequences imperil everyone! â€œWe condemn without hesitation the irresponsible utterances and conduct of persons who disgrace the very notion of priesthood. Christianity obliges us to the finest standards of conduct, propelled by our faith in God and His abiding grace. â€œChristians are enjoined by our faith to strive to live up to the standards of compassion and tolerance to which we are commanded by Christâ€™s example in the Sermon on the Mount. â€œIgnorant commentary on government policy is as rascally and repugnant as weaving false narratives to create the impression of victimhood. â€œThe attempt to paint the Kaduna State Government and its leadership in religious garbs must stop. It is a government within which we as Christians proudly serve, and which makes its decisions guided only by the oath of office to which we have all sworn and the constitution. â€œEnough is enough of this reckless misuse of the apostolic mandate. Pastors have a mission to promote peace, bring people together, and motivate them to better follow the example of Jesus Christ. â€œThe reckless rhetoric from some pastors reminds decent people of the unfortunate involvement of pastors in the 1994 genocide in Rwanda. â€œWe urge the leaders of the Christian faith to urgently address the matter of that constituency of pastors who are never seen to encourage what is good and noble, but who seem to find their voice whenever an opportunity to widen cracks appears. â€œAs Christians, we would not allow anyone to use our faith to justify any crime, to engage in reckless incitement and divide a state many of whose residents admirably demonstrated respect for a common humanity during the latest crisis. â€œAs Christians, we are part of this government and its decisions. As Deputy Governor, I am a member of the Security Council, and routinely preside over its meetings. Like my colleagues, we do not view our faith as a bargaining chip or as an instrument for seeking advantage. â€œOur Christian faith is a precious resource, a personal matter of relating to God, seeking to be better with Godâ€™s grace and working to ensure our personal conduct reflects the discipline of our faith. We reject in totality any effort to politicize Christianity. â€œWe call on every resident of Kaduna State, whatever their faith, to stand together and resist those who seek to divide us.